Bad news for climate-savers: According to the latest estimates by the International Energy Agency (IEA), energy-related carbon-dioxide (CO2) emissions were the highest ever meted in history. After a dip in 2009, that was caused by the global financial crisis, the emissions have climbed to a record of 30.6 Gigatonnes (Gt) in 2010. Thats a jump of 5% from the previous record year in 2008, when levels reached 29.3 Gt, the IEA claims. In addition, the IEA has estimated that 80% of projected emissions from the power sector in 2020 are already locked in, as they will come from power plants that are currently in place or under construction today. During the latest UN climate change talks in Cancun in 2010 global leaders actually agreed to a target of limiting temperature increase to 2°Ct. To achieve this goal, the long-term concentration of greenhouse gases in the atmosphere must be strictly limited. Angella Katatumba is the International climate change icon in Uganda, appointed by the British Council. The idea of the song and the appointment of course is to make climate change an exciting topic to the young people. Here's a short interview with Angella featured at the Pied Magazine, an african eco online mag. More detailed informations are available at musicuganda.com, a pretty interesting website that claims to be Ugandas leading music and entertainment website. It’s time for the major climate powers to sit down and set ambitious goals for fighting climate change. They have to capitalize on the important progress we saw in Cancun. If the major climate powers don’t lead the charge, smaller countries won’t follow along, and a new binding treaty–with strict emissions regulations–won’t even be possible in Durban. And that’s why the European Union has to take charge. It doesn’t look like any legitimate climate or energy legislation will come from the U.S., especially since Obama’s Power Act failed to gain traction in Congress. It’s highly unlikely that the Environmental Protection Agency (EPA) will have the power to push forward significant climate legislation on its own. And as the U.S. goes, so does China in this case. Beijing has continuously made it clear that China will make no major commitment to fighting climate change if the U.S. doesn’t step up to the plate as well. That would cause a domino effect, and other major consumers like India and Brazil would also balk. So the EU is left to carry the burden. Europe has proved in the past that it’s capable of coming through on ambitious environmental goals and programs. But in the last 2 years, as leading climate negotiators have dug in their heels, the EU too has hesitated, stalled and showed reluctance. That became evident in Cancun. Europe’s visionary climate programs have fallen by the wayside amid a financial crisis and infighting. The fact that the EU lacks a strong leadership figure like former Environment Commissioner Stavros Dimas in Brussels is part of the problem. But German Chancellor Angela Merkel’s refusal to take the lead has also complicated things. Like France, Germany has started to express skepticism and discord in European politics, crippling Europe on the international stage. And this at a time when the EU is needed more than ever to lead climate talks. In other words, the EU can only take control of global climate negotiations when it learns to speak with one voice. And in order for that to happen (and in order for Durban to be a success), Europe has to return to its values and its vision of integration across all platforms, including environmental protection. Angela Merkel and Nicolas Sarkozy have the power to bring about this change by going back to other member states and encouraging them to follow along. Only then will the EU win back its political power and its ability to lead a tough line on climate change. In the end, the success of climate legislation is tied closely to European politics. That’s an important lesson we can take away from Cancun. Cancún was a symbolic victory. The concrete details on climate policy still have to be hammered out. One example: the participating countries failed to come up with an answer to how environmental policies will be funded. It’s a crucial question that has to be addressed before any sort of climate agreement can even work. Another example: nobody knows what the terms of a new forest preservation program would include—or if it’ll end up being abused and ignored like the Clean Development Mechanism (CDM) from the Kyoto Protocol. 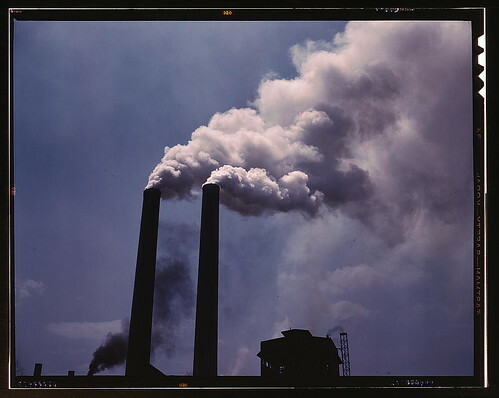 Under the CDM program, companies from wealthy industrial nations receive emissions certificates whenever they start new climate protection projects in developing countries. But what began as an incentive to protect the environment has turned into a multi-billion dollar industry. Some companies are raking in money from projects that have already existed for years or have little noticeable environmental benefit. If international leaders don’t make forest preservation a top priority, some environmental organizaitons worry we could end up right back where we started. Just picture this scenario: you could have huge companies making a lot of money by clearing out naturally existing habitats and planting giant monocultures. On the surface, it would look like the company is adding to the region’s vegetation. But in reality, a monoculture would store far less CO2 and wouldn’t have nearly as much biodiversity as the original habitat. This could all be avoided if negotiators draw up strict forest preservation guidelines at the Durban summit next year. But much more still needs to be done in Durban. Like actually formalizing the agreement to keep the rise of global temperatures under 2 degrees. Also, both the USA and China have to be bound to any new treaty. The decision to simply extend the Kyoto Protocol terms was a mistake because it allowed both world powers to remain outside the loop. And all sides need to address the gap in legislation when Kyoto expires. Ratifying a new treaty can take decades, and international leaders will have to come up with a sensible way to bridge that gap. Cancun was a success simply because it left so many questions unanswered. Mexico’s foreign minister Patricia Espinosa was only able to gather so many countries around one table because they weren’t bound to any specific evironmental legislation. Now, the pressure lies squarely on the Durban talks next year. The climate talks in Cancun are over, and it's time to look at the big picture. Was it a success? One of our Deutsche Welle reporters, Torsten Schäfer, covered the summit and wrote a commentary after it was over. We're going to share it with you in three parts. So read along and let us know what you think! In the end, the unexpected last-minute success at Cancun saved multilateralism and renewed international trust in UN-led negotiations. Still, much work is left to be done when it comes to fighting climate change. It's up to the EU to take charge, but first it has to find its voice again. Expectations were modest at best going into Cancun–some experts even predicted a complete disaster. Despite the odds, negotiators were able to come up with a tangible framework. Their basic agreement is admittedly fragile and clouded by uncertainty. But still, international leaders created a foundation to build upon at the next climate talks in Durban. In Cancun, it wasn't the end product that was important but rather the process itself. The UN will continue to lead climate treaty negotiations–as long as each of the 194 participating countries is willing to put aside differences and forge a common climate policy. So that's how Cancun saved multilateralism, which is essential to international diplomacy and global climate policy. That positive progress was sorely needed, especially after the complete failure in Copenhagen last year. Many people lost all faith in the concept of joint climate policy and in the UN as a whole. So Cancun was an important test of the UN's ability to win back trust and make some sort of progress before Durban. But environmental officials did one better: not only did they restore the international community's trust (thanks also in part to the UN biodiversity conference in Nagoya), but they also managed to find common ground on a series of concepts. Still, many questions remain unanswered–and that's one of Cancun's biggest shortcomings. Stay tuned for Part 2 tomorrow….